Two Russian planes landed in Venezuela on Saturday, reportedly carrying 35 tons of military supplies and 100 Russian troops. The Venezuelan and Russian governments have claimed that the materiel and troops are there under a contract to service Russian military equipment, but the timing and the scale belie those claims. Why it matters: More than two months after the United States and 50 other countries recognized National Assembly leader Juan Guaidó as president of the country, Russia’s latest power play is a defiant move to shape events in what has long been considered a U.S. sphere of influence. 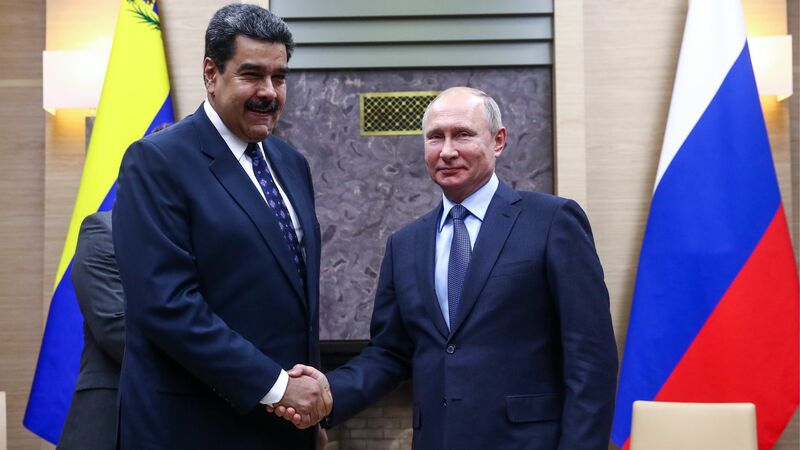 Background: Vladimir Putin's government has long been an ally of the Venezuelan government, first under President Hugo Chávez and now under Nicolás Maduro. Russia has lent the struggling economy $3.15 billion under generous terms, and Russian energy company Rosneft has heavily invested in the country’s oil exploration and production. Meanwhile, the U.S. has imposed unilateral sanctions, including a freeze on payment for oil imports to the Venezuelan government, a freeze on the international bank accounts of government officials, and penalties like visa cancellations and bank account freezes on hundreds of Maduro’s associates and friends. As a result, an international effort to reverse Venezuela’s long slide into autocracy and humanitarian crisis became seen as an American campaign. The U.S. staked its maneuvers on a bet that the military high command would turn on Maduro and back Guaidó as interim president until the country could hold free and fair elections. The bottom line: Russian troops are more than a hedge against a U.S. invasion; they are a signal to prevent the defections from the Venezuelan military that the U.S. and others had been banking on. Now, perhaps in part as reprisal for U.S. support of Ukraine's democratic government against Russian intervention, Putin may try to play a role in any solution to the Venezuelan standoff. Christopher Sabatini is an adjunct professor at Columbia University's School of International and Public Affairs, executive director of Global Americans and a non-resident fellow at Rice University's Baker Institute.